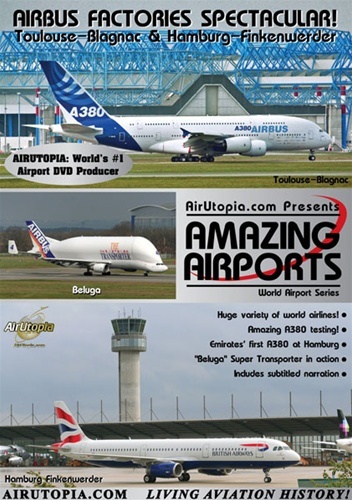 AirUtopia travelled to Toulouse-Blagnac and Hamburg-Finkenwerder Airports over a period of 4 years to capture the daily action during the testing process behind the Super Jumbo A380! 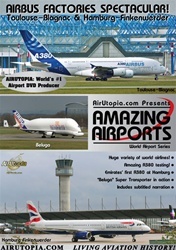 The excitement continues with scenes of the incredible Airbus "Beluga" Super Transporter in action along with the A320 family of jets, A330s and A340s that are destined to one day serve airlines around the globe! Huge variety of world airlines! Emirates first A380 at Hamburg! "Beluga" Super Transporter in action!